Spring is here, the flowers are blooming, and we’ve got a ton of fresh copy to brag about. All of our writers were hard at work, but May was truly our COO Denise Keller’s time to shine. For the first time ever, Keller wrote for the popular website Business 2 Community. The topic? 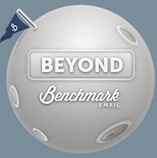 Three totally underused email marketing strategies. Creating mobile-friendly campaigns is a huge one, especially since some recent studies have shown that more people are opening their emails with smartphones and other mobile devices than desktop computers or even laptops. Stop on by Business 2 Community to find out what the other two critical strategies are. When it comes to social networking, confusion is rampant. What social networks should you focus on? What type of content should you post? A blogger for InformationWeek had the very same questions, so she interviewed Denise (and a few others) to clear things up. The blog features practical advice on whether you should spread your social networking energy across a large number of networks, or focus on just a few. Find out what Denise has to say about this at “The Brainyard,” the InformationWeek blog by editor Debra Donston-Miller. What happens when email marketers keep the same tactics, even when the market is flooded with smartphones and other small-screen devices? They fail - and that’s why Keller’s The Email Guide column on email subscriber text entry is so relevant. The old days of asking your email subscribers to provide lengthy, detailed text on everything from customer concerns to product suggestions is over, thanks to the mobile wave. In her The Email Guide column, Keller addresses this game-changer of an issue for email marketers, and the story is well worth a visit if you’re serious about keeping up. June is already heating up, content-wise, and you’ll see lots of good stuff this month that will make for great summer (business) reading. We’ll keep tabs on everything that’s out there, and we’ll see you soon with lots of content goodness! Certainly e-mail marketing has been under used by some of the writers but social networking using strategy has very crucial part and sharing content on your social media channels has importance to build authority online.